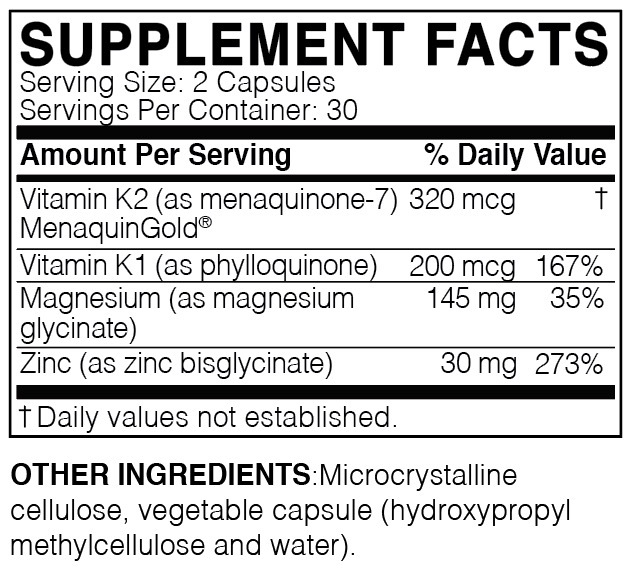 MegaQuinone K2-7 is a high-dose, 100% soy-free formulation of natural vitamin K2 (MK-7) formulated for optimal bone, nerve, and heart health. 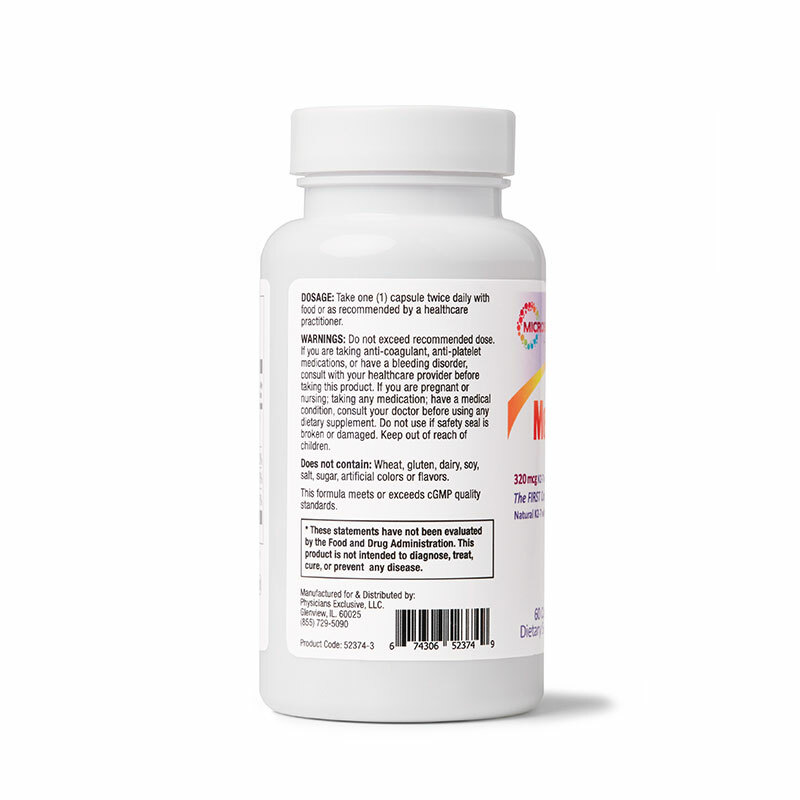 This formula includes 320 mcg of vitamin K2 with vitamin K1 and chelated minerals for absorption. Register as a Patient with your Patient Direct code or we can help you find a local practitioner that carries our products. 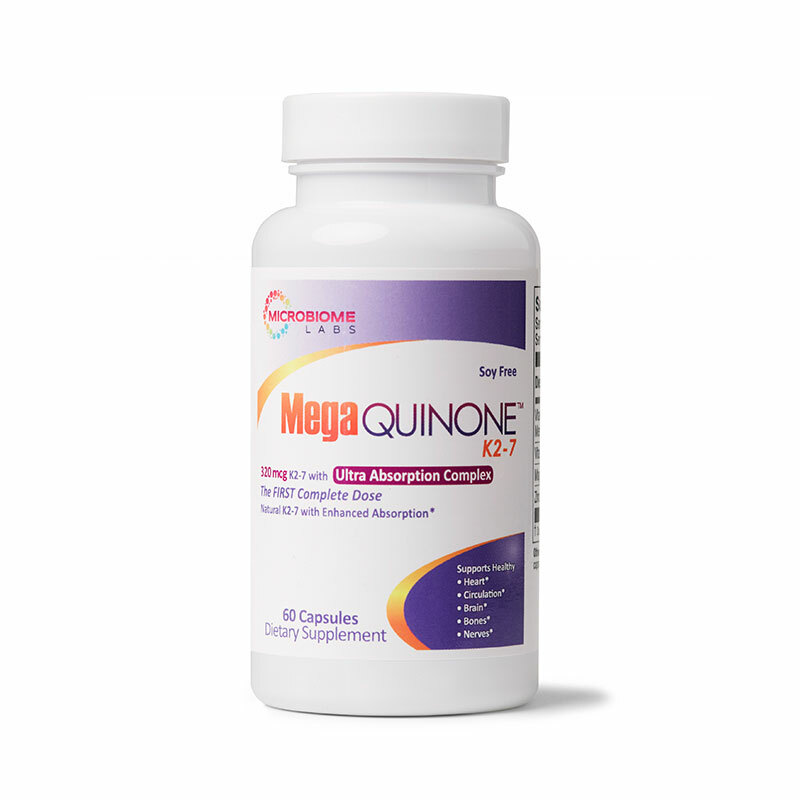 MegaQuinone is a high-dose, 100% soy-free formulation of natural vitamin K2 (MK-7) formulated for optimal bone, nerve, and heart health. 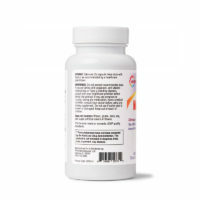 This formula includes 320 mcg of vitamin K2 with vitamin K1 and chelated minerals for absorption. Given the major health benefits, vitamin K2 is arguably the most important dietary supplement out there, primarily because it can’t be found in sufficient quantities in the average Western diet. In the last 40 years, researchers have realized that vitamin K2 is responsible for activating, or carboxylating, vitamin K-dependent proteins (VKDPs), such as osteocalcin and matrix Gla-protein. When fully carboxylated, osteocalcin attracts calcium into the bones and teeth. Matrix Gla-protein (MGP) helps to prevent vascular calcification by pulling calcium out of soft tissues, including arteries and veins. Without a sufficient source of K2, both osteocalcin and MGP can remain partially uncarboxylated or completely uncarboxylated, allowing calcium to deposit in the blood vessels rather than the bone, where we need it the most. Gelejinse J, Vermeer C, Grobbee D, et al. Dietary intake of menaquinone is associated with a reduced risk of coronary heart disease: The Rotterdam Study. J Nutr. 2004; 134:3100-3105. Beulens J, Bots M, Atsma F, et al. High dietary menaquinone intake is associated with reduced coronary calcification. Atherosclerosis. 2009;203:489-493. Bolland M, Avenell A, Baron J, et al. Effect of calcium supplements on risk of myocardial infarction and cardiovascular events: Meta-analysis. British Medical Journal. 2010; 341:3691. Beulens JW, van der AD, Grobbee DE, Sluijs I, Spijkerman AM, van der Schouw YT. 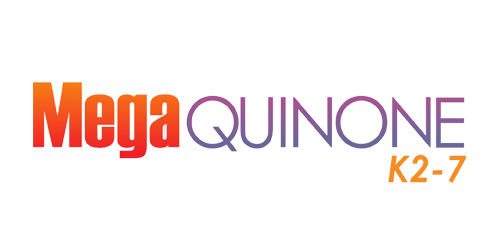 Dietary phylloquinone and menaquinones intakes and risk of type 2 diabetes. Diabetes Care. 2010 Aug;33(8):1699-705. Iwamoto J, Seki A, Sato Y, Matsumoto H, Takeda T, Yeh JK. Vitamin K(2) prevents hyperglycemia and cancellous osteopenia in rats with streptozotocin-induced type 1 diabetes. Calcif Tissue Int. 2011 Feb;88(2):162-8. Choi HJ, Yu J, Choi H, et al. Vitamin K2 supplementation improves insulin sensitivity via osteocalcin metabolism: a placebo-controlled trial. Diabetes Care. 2011 Sep;34(9):e147. Samykutty A, Shetty AV, Dakshinamoorthy G, et al. 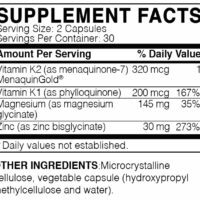 Vitamin k2, a naturally occurring menaquinone, exerts therapeutic effects on both hormone-dependent and hormone-independent prostate cancer cells. Evid Based Complement Alternat Med. 2013;2013:287358. Real-time cell analysis of the inhibitory effect of vitamin K2 on adhesion and proliferation of breast cancer cells. Nutr Res. 2015;35(8): 736-743. Mizuta T, Ozaki I, Eguchi Y, et al. The effect of menatetrenone, a vitamin K2 analog, on disease recurrence and survival in patients with hepatocellular carcinoma after curative treatment: a pilot study. Cancer. 2006 Feb 15;106(4):867-72. Kaipparettu BA, Ma Y, Park JH, et al.